Toronto commercial brick repair shouldn’t be taken lightly. After all, the bricks on your building hold it up and keep you safe. Hiring the right contractor for the job requires a little research and due-diligence. Look for an experienced mason who is professional, well-rounded in skills, and specializes in your specific area of need. 1. Do They Have Related Experience? Experience is crucial to a job well done the first time around. You don’t want just any masonry expert, you need an expert with proven experience working on similar projects. Ask to see photos of past repairs and ask questions about similar projects they have worked on. Experience is especially important when dealing with historical restorations and repairs. All it takes is one novice mistake and brick repairs can create additional issues in the structure and its stability. From testing mortar type to carefully studying the original construction, every detail counts. Professionalism is especially important regarding Toronto commercial brick repair. After all, any work completed at your place of business (before, during, or after operating hours) sets an example for who you are as a professional entity. The goal is to avoid contractors who will curse on the job site, wear mismatched clothing or inappropriate t-shirts, and otherwise set an unprofessional tone. 3. Is it a One-Stop-Shop? 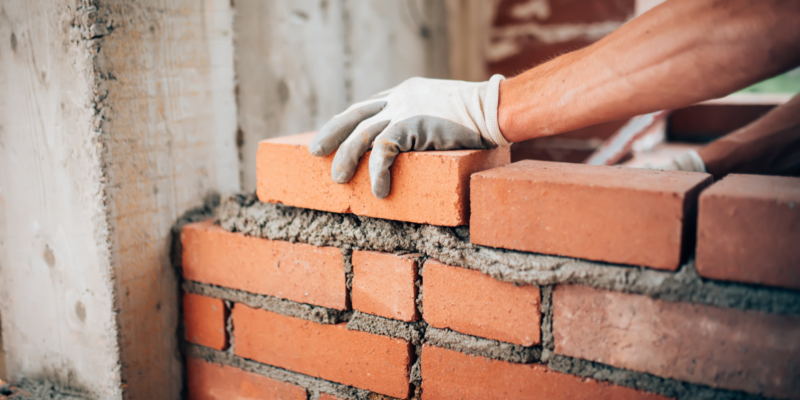 Avoid the run-around by working with a commercial mason who specializes in all facets of brickwork—not just one or two aspects of it. That way, you don’t have to call in two or more contractors to fix the same issue. 4. Are They Licensed and Certified? Ask to see proof of licensing and certification before work begins on your property. This can help protect you in several ways. Plus, it’s another key sign of professionalism on the commercial contractor’s part. 5. What is Their Availability? Understanding the importance of project timelines when it comes to commercial undertakings is crucial. One of the first things to do is find out what type of availability a contractor has open to complete your job. In addition, discuss any work that needs to be completed during non-operating hours, for instance during the night or early in the morning. Before you get too invested in any contractor, make sure your schedules work well together. 6. What Materials & Processes Do They Rely On? Ask about materials and overall process to get an idea for how a contractor conducts business. Are they using high quality materials or picking up cheap materials to save a buck? Do they have a proven process that they rely on for the job at hand? Don’t just take our word for it! We’ve been awarded HomeStars Best of in 2014, 2015, and 2016. As a family owned and operated business with longstanding roots in Toronto, we stop at nothing to provide superior results at fair prices and with utmost professionalism. Contact us today to see why businesses big and small turn to us time and time again.